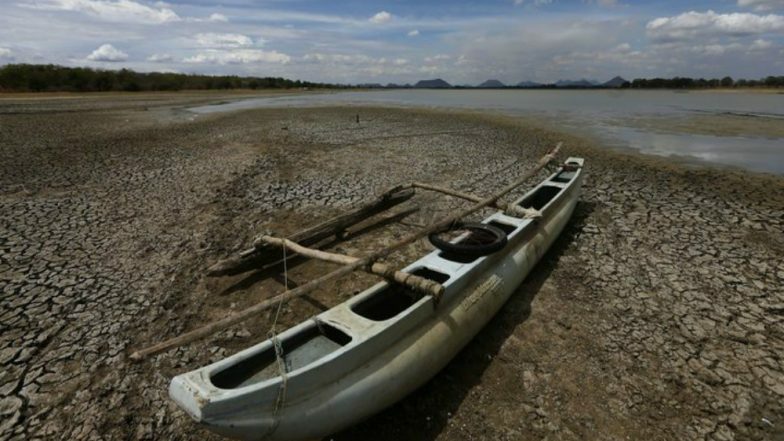 Colombo, April 10: Sri Lanka's Disaster Management Centre on Tuesday said that the number of people affected by the severe dry weather conditions prevailing across the island country had risen to over 321,000. The worst affected districts were Vavuniya and Jaffna in the north, Puttalam in the North Western province and Kegalle in the Sabaragamuwa Province, Xinhua news agency reported. The Disaster Management Centre said the lack of rains, especially in the mountainous areas, resulted in a severe water shortage. Sri Lanka Imposes Daily 4-Hour Power Cuts Due to Dry Weather. Authorities said that they were continuing to send water bowsers into the areas to supply fresh water to the affected families. The Meteorology Department said hot weather conditions were likely to rise further in the coming days.